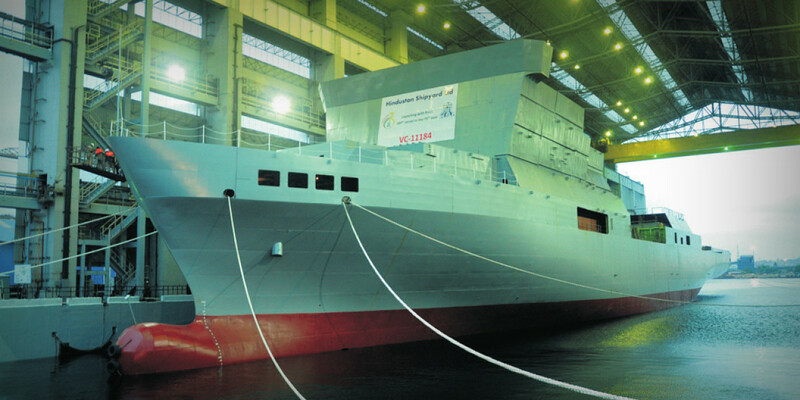 The VC 11184, an Indian Ocean Surveillance Ship (OSS), being custom built for the Indian Navy by Hindustan Shipyard Limited (HSL) (The shipyard was transferred from India's Ministry of Shipping to Ministry of Defence on February 22, 2010), is on its way to completion just over four years after its keel was laid. The OSS programme is under the direct control of the prime minister’s office routed through the national security advisor. The ship (yet to receive a formal commissioning name, as of now it's using the designated yard number) will be the — "first" to be a "dedicated element" — in the second phase of India’s multi-tiered Ballistic Missile Defense (BMD) architecture and also be deployed for duties to support India’s strategic weapons program. The VC 11184 was floated out on April 25, 2016, at a ceremony. This was the first time when the HSL yard successfully undertook multiple float out of four different vessels (on the same date) at the same time in the "Building Dock". The ship cost around ₹15 billion (US$ 231.29 million) and has been designed in India by New Delhi-headquartered Vik Sandvik Design India Pvt. Ltd. (VSDI). In January 2016, a transitional rejig happened with respect to HSL's Procurement Committee, which was reconstituted by the HSL board after Rear Admiral L.V. Sarat Babu, Indian Navy (Retd.) assumed the charge of chairmanship and the role of managing director at the yard. This led to the revision of financial powers of "Procurement Sub Committee (PSC)" to directly approve the proposals for the procurement of materials and equipment valued between ₹250 million (US$ 3.6 million) to ₹500 million (US$ 7.2 million) for the Project VC 11184 only. 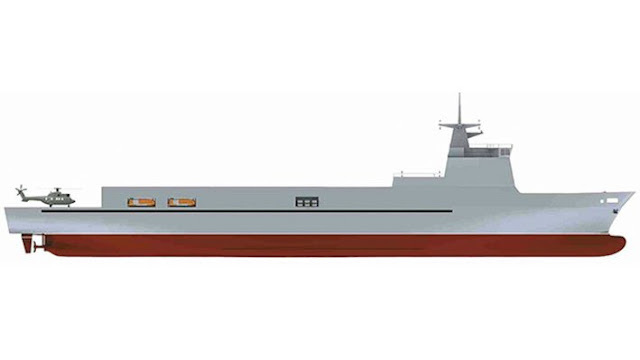 Architectural Design Attribute: VC 11184, Vik Sandvik Design India (VSDI) | Commodore Saibal Sen (Indian Navy), the Project Director of VC 11184 was a special invitee for 4th and 5th Project Review Committee held at the shipyard on September 26, 2016, and March 31, 2017, respectively. The design department of HSL used AVEVA Marine software for 3D-modeling of Structural foundations and complete modeling of heating, ventilation, and air conditioning (HVAC) and modifications in piping and cable trays for VC 11184. The software has a capability to model a complete ship, extract the design drawings & documentation; and build a complete end-2-end knowledge repository in AVEVA Marine. The VC 11184 has a displacement of more than 10,000 tonnes, length of 175m, a beam of 22m, depth of 6m and can attain a speed of 21 knots (kN). It is powered by two imported 9000kW combined diesel and diesel (CODAD) configuration engines and three 1200 ekW auxiliary generators. CODAD is a propulsion system for ships using two diesel engines to power a single propeller shaft. 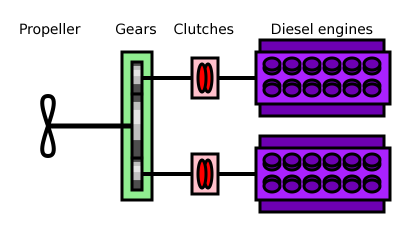 A gearbox and clutches enable either of the engines or both of them together to drive the shaft. As per the publicly available information, the OSS is fitted with primary X-Band and secondary S-Band active electronically scanned array (AESA) radar to monitor indigenously developed strategic and other missile systems. It can also identify decoys with actual warheads fired from multiple independently targetable reentry vehicle (MIRV) warhead capable ballistic missiles. Also, there is a helicopter deck (or helo deck) located on the stern to accommodate a single helicopter. It will be manned by a crew of 300 navy personnel, including a special team from National Technical Research Organisation (NTRO). The ship is currently said to be undergoing harbor trials in Visakhapatnam, a major naval base situated at the eastern seaboard. Later it will embark on a full-fledged sea trial. The main focus of the trial phase is to assess the efficiency of the ship’s surveillance hardware and tracking antennae. It is set to be delivered by December 2018. DISCLAIMER: All actual statements and figures have been sourced and analyzed from publicly available information such as Annual Reports, News Briefings, and Press Releases.